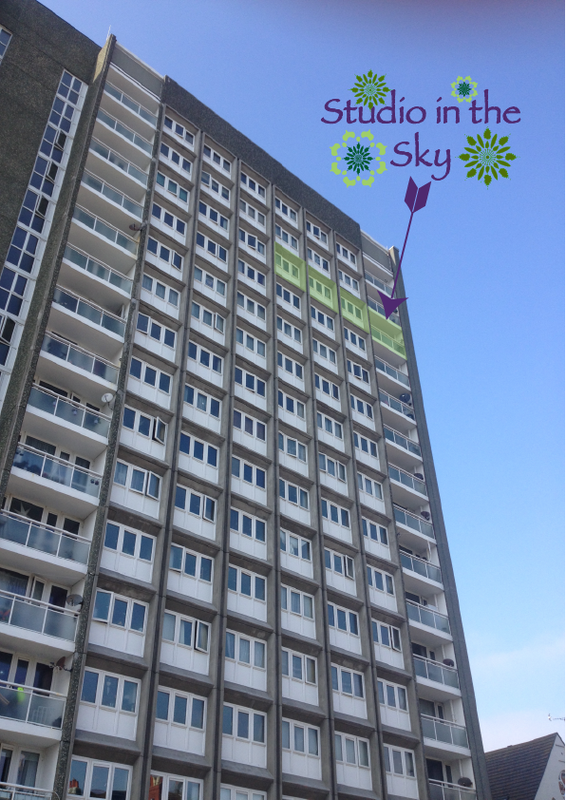 My names Amanda and I live here in Brighton with my 21 year old son Sunny.I am lucky to live in an amazing flat on the 13th floor of a high-rise. I call it my Studio in the Sky. 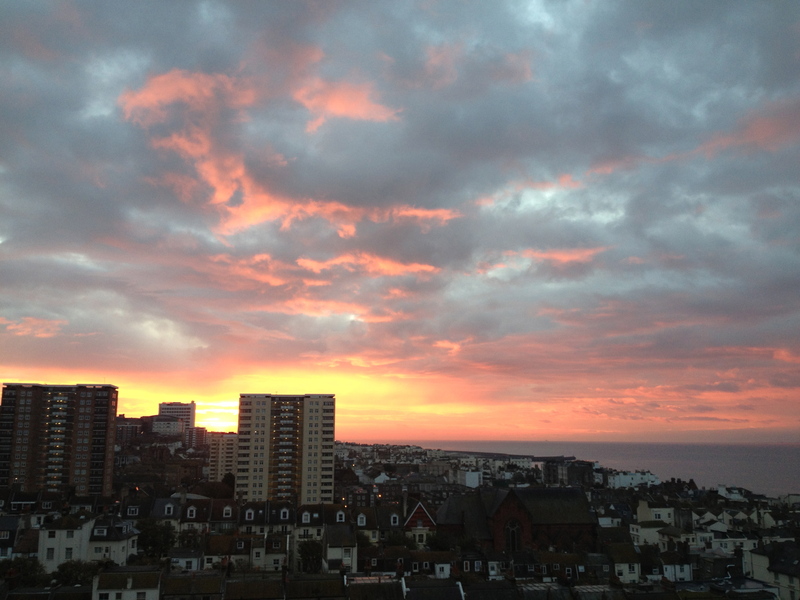 Living here has given me a view of Brighton not seen by most.. In my life drawing has been something enjoyable and I always did,making birthday/christmas cards for friends and family,painting picture and helping out in my son’s school with art classes but mostly kept it confined to my sketch books. 9 years ago when my son was older, I got my degree in Fine Art specialising in screen printing.I was very proud of myself and by studying my degree they found out I was dyslexic and helped me with my writing. Still I worked in pubs it paid the bills. and still never having the confidence to just go for it with my art. The massive changes in my life for me was when at the age of 40 I discovered Hula-Hooping, I found a website called http://livelovehoop.com/ and joined a class I was hooked,this changed my life and has made me happy inside and out. I have made some amazing friends and been to some lovely places all because of hooping and 3 years on I am still hooping and having fun. My creativity and my confidence has grown stronger and stronger. 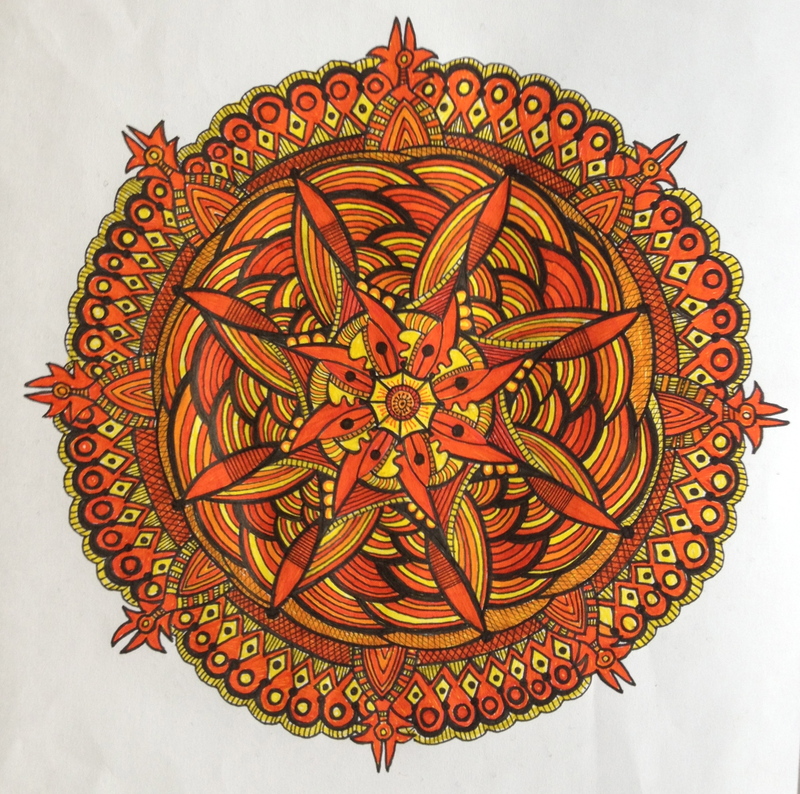 Around this time I found Mandalas or they found me, I started drawing them loads and realised how they re-kindled my creativity and took my art in a new direction. They have become a big part of my life they help me to relax be calm and deal with times of stress in a positive way. Last year I was lucky enough to run my first workshop with a lovely bunch of wonderful hula-hoopers in Spain http://www.ukhoopgathering.com/#/spanish-hoop-holiday-2014/4555398385 and this spurred me on to run one in England. Hi Amanda,great work.Thanks for the advice with City College – bloody hard but your advise made all the difference. My partner and I visited Brighton in April. I could have sworn that we walked by your building (it’s memorable because there are such few highrises in Brighton)! 🙂 You must have a great view! Hi Amanda, Steph here, we met on the plane yesterday evening, glad I remembered your web address, it’s a wonderful site – I shall be having a look in depth a bit later, I have a tutorial to get up to speed with today! Hope you had a safe onward journey! Hi Steph so glad you remembered and thank you , yes got back to Brighton about midnight, hope you got back ok and the tutorial went well .